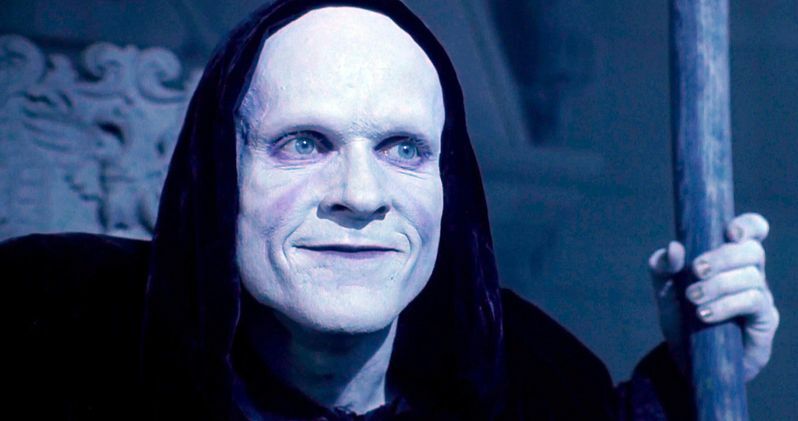 William Sadler is officially returning as Death in Bill & Ted Face the Music. Ed Solomon and Chris Matheson had previously teased that they had written some scenes for Death. Everybody loved Sadler's performance in Bill & Ted's Bogus Journey and Solomon says that he and Matheson laughed a lot while writing his new lines. However, that was back in February of last year when Solomon was still holding out hope that the long-awaited sequel was even going to happen. Solomon and Matheson have also revealed that George Carlin will not be recast. When Ed Solomon made his comments about William Sadler public, the actor immediately offered up his services, which was over a year ago. A lot has happened since then, but Alex Winter and Keanu Reeves have now confirmed that Bill & Ted 3 will begin production this summer and now, we have confirmation that Sadler will be back as Death. This is excellent news for fans that have been waiting to hear about the return of Death along with when the movie was finally going to begin production. The announcement was made via tweet and says, "For those who have been asking, William Sadler will totally be reprising his role!" Legendary comedian George Carlin famously played Rufus in the first two installments, but sadly passed away in 2008. Rufus was a guardian angel for the two friends and made sure that they had the tools to pass their class in the first installment, while saving the world with their music at the same time. When asked on social media about a tribute to Carlin, the official Bill & Ted 3 Twitter account noted that his presence will be felt throughout the movie. You can read the response below. "He's so deeply missed by all who worked with him on the previous two films. His character will not be recast, but his absence will be a part of the whole third movie - including what is possibly the most emotional scene of the film." Rufus was originally going to be an older friend of Bill and Ted's with a van, but Chris Matheson and Ed Solomon later changed the idea and brought on George Carlin. Winter remembers initially thinking that the Rufus character was going to ruin the movie, but those worries subsided and turned to excitement when Carlin was cast. Winter went on to call the comedian a, "larger than life, beautiful, spiritual, incredible human being." Securing financial backing seemed to be the biggest hurdle in getting Bill & Ted 3 off of the ground. Plus, Keanu Reeves is one of the more busy actors in Hollywood, having just completed work on John Wick 3 and his voice acting work as Duke Caboom in Toy Story 4. With that being said, Reeves should be done with his John Wick promotional duties by the end of May, which will give him plenty of time to reunite with Alex Winter and bring us the long-awaited third installment in the Bill & Ted franchise. Regardless, the movie is happening it includes the return of Death. You can read the official announcement below, thanks to the Bill and Ted 3 Twitter account.